The maximum amount you can claim as deduction under section 80C of IT act is Rs. 1, 00,000. If you have invested anything less than the limit then you can claim only up to the amount that you paid for these investments. I have invested Rs. 20, 000 in life insurance policy and Rs. 50, 000 in Public provident fund and my employer deducts Rs. 10,000 as contribution to employee’s provident fund. How much I can claim as income tax deduction under section 80C of IT act. I have an employee provident fund account where I use to contribute every month. Can I claim more deduction if I opened up a public provident fund account and start investing on that. Am I eligible for a public provident fund scheme investment? You can have a public provident fund account with any post office or an authorised bank and start investing into it. Both contributions are eligible for tax deduction but the total deduction claimed under section 80C should not exceed Rs. 1, 00,000. You can even open a public provident fund account in your spouse or any of your children’s names to get deduction. 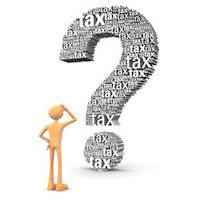 What are the best investment options available for investing to get income tax deduction under section 80C of IT act, 1961? Investment in life insurance policy taken on your own name, life of the spouse or any child (child can be married/unmarried, dependent/independent, male/female or minor/major). I have invested in a life insurance policy and claimed deduction for the assessment year while filling my income tax return. Now I have discontinued this policy and withdrawn the entire amount. Please let me know if there are any income tax implications? According to section 80C of IT act, to claim deduction for your life insurance premium payments you need to keep investing for as minimum period of 2 years. If you have discontinued the investment then the deduction availed earlier will be withdrawn and the entire amount already availed as deduction will be taxable in the year of termination of such policy. In your case the entire amount availed as deduction will be taxable under IT act in the year of termination of insurance policy. I have invested Rs. 1, 00,000 in a life insurance policy in addition to my employee provident fund investment scheme. My employer has a corporate medical insurance policy with one of the insurer to whom I am contributing Rs. 7, 250 every year. Please let me know my total deduction amount to be deducted from my taxable income. As per section 80D of IT Act, medical insurance to the extent of Rs. 15, 000 is deductible when such insurance amount is paid to ensure the life of your own, your spouse and dependent children. In your case we assume that the medical insurance amount has been paid for these people and as such the entire amount of Rs, 7, 250 will be allowed as income tax deduction under section 80D. Section 80C of IT act allows a deduction of Rs. 1, 00,000 for the investment specified under that section. Both investments as invested by you qualify deduction under section 80C. as such the entire amount of Rs. 1, 00,00 will be allowed as income tax deduction. Section 80C deduction is in addition to deduction of section 80D so you should not get confused with the medical insurance policy and life insurance policy. So in total an amount of Rs, 1, 07,250 will be allowed as income tax deduction under IT act.